The annual Baikal Dialogue forum is a platform used to discuss economic cooperation and environment security of Russia’s Siberia and the Far East, and countries of the Asia Pacific region. Experts will discuss issues of inter-regional and trans-border cooperation, trade-and-economic and scientific and technical cooperation, and problems of special economic zones. 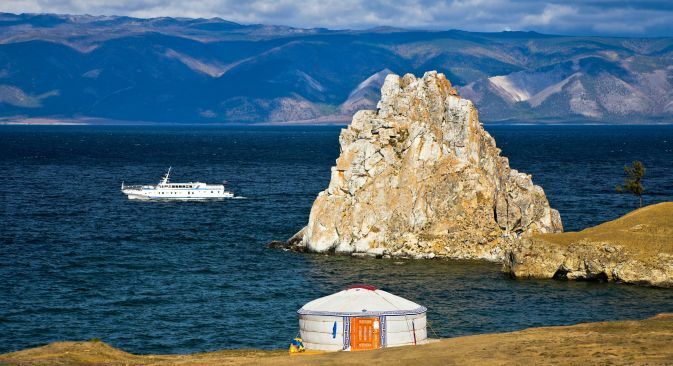 The fifth international forum Baikal Dialogue due to take place on September 15-16 in Ulan-Ude is expected to bring together participants from Russia, China, Japan, Mongolia and South Korea, a spokesman for the organizing committee said on Thursday. "This year, the forum’s main topic will be international and trans-border cooperation in the interests of the development of the Baikal region," the press service of Mikhail Slipenchuk, a member of the Russian State Duma lower parliament house and one of the would-be forum’s moderators, said. "The program of the forum features B2B ‘Contact Exchanges’ that will make it possible for Russian companies to establish direct contacts with potential partners from China and Mongolia," the press service said, adding that the Baikal Dialogue also implies active bilateral cooperation between parliaments as well. Along with Slipenchuk, who is deputy chairman of the State Duma committee on natural resources, nature management and ecology, the forum will be moderated by Russian Deputy Minister of Economic Development Alexander Tsybulsky. The annual Baikal Dialogue forum is a platform used to discuss economic cooperation and environment security of Russia’s Siberia and the Far East, and countries of the Asia Pacific region. Its organizers are the Russian State Duma, the government of Russia’s republic of Buryatia and the Russian ministry of economic development. The forum enjoys support from the Metropol Group of Companies and the Baikal Preservation Fund.